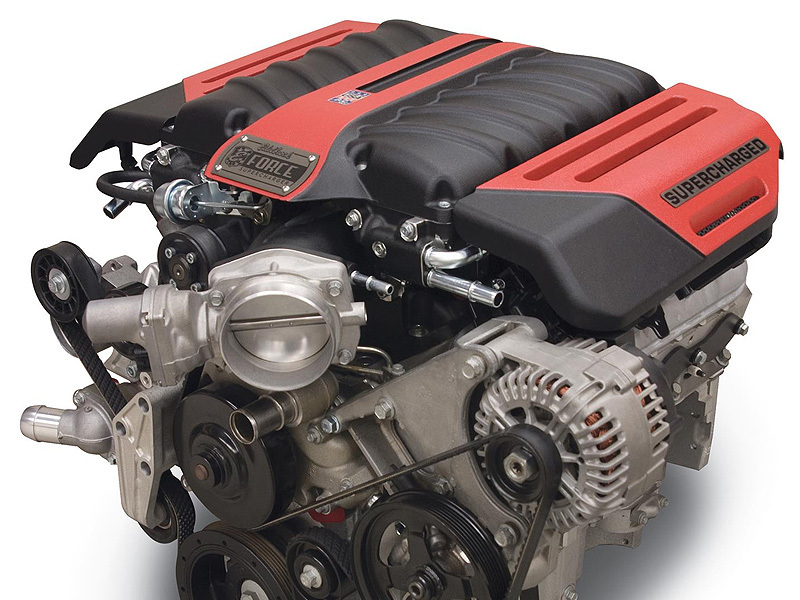 426 horsepower not enough? 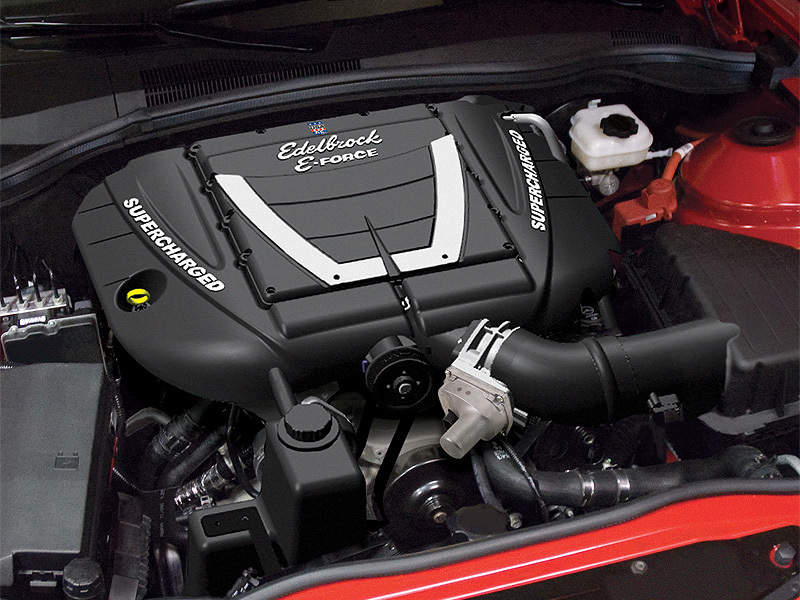 Take an already high performance street car to the next level with an Edelbrock E-Force Supercharger! These supercharger systems are exclusively tailored for the 2010-16 Camaro SS and feature 12" long intake runners that allow for maximum low end torque. Its compact design fits under the stock hood and compliments the clean look of the engine bay. 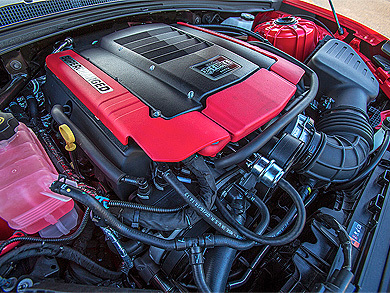 A new look for our Camaro E-Force Supercharger. 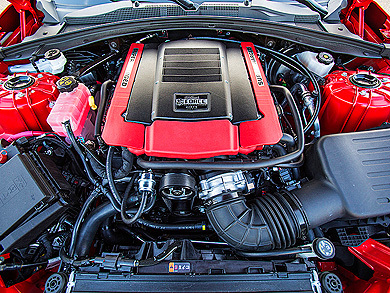 It features vented coil cover design to help reduce heat build up during extreme driving and weather conditions, along with a two-tone black and red powder coated finish with inset "Supercharged" badges. This new design retains the same bolt pattern and is compatible with all of the previous E-Force GM based kits. For use with 2010-13 Camaro models only, will not fit 2014-15 models due to interference with the hood vent.